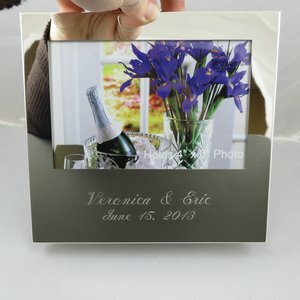 This beautiful personalized picture frame can be used for any occasion with any personalization. It holds a 4 x 6 Picture and measures 6.5 x 7. Great for wedding, anniversary, birthday gift, special memories.